Description: Apollo, Cowbella, Squacky and Sweetpea Sue! 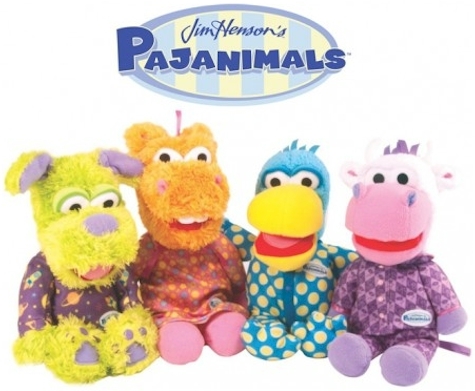 Jim Henson's Pajanimals feature the musical adventures of four young and lovable animal characters that help your Sproutlet prepare for bed. Your toddlers and kids alike, will have an easier time sleeping cuddling up with these adorable plush dolls by Jim Henson's at their side.